Charlotte A. McAlexander, 84, of Sidney, Ohio passed away on February 8, 2019 at The Landing, Sidney, OH. Charlotte was born in Miami County, Ohio on June 3, 1934, to the late Wilgus & Wilma (Apple) Duer. On November 26, 1953, Charlotte married Donald McAlexander who preceded her August 11, 2016. Surviving are three children, Debra (Randy) Marchal, of Russia, Anthony (Angie) McAlexander, of Conover and Cinda McAlexander, of Sidney. 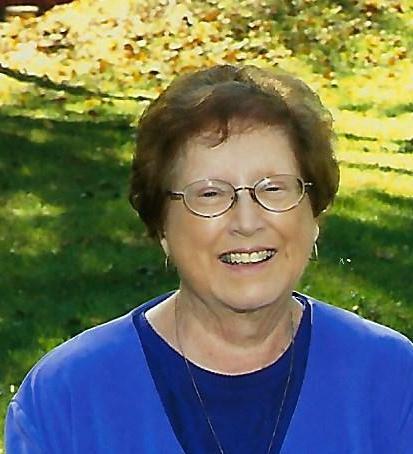 She leaves behind 10 grandchildren, Rachel Phlipot, Nicole Doseck, Renae Borchers, Laura Barhorst, Nathan Marchal, Melissa Hoying, Ryan McAlexander Kristen Bennett, Mike McAlexander, Jessica Bennett and 35 great-grandchildren. She is also survived by a sister, Betti, D. Hook, sister-In-law, Martina McAlexander and several nieces and nephews. In addition to her parents and husband, one sister, Maxine, and 10 brothers-in-law and sisters-in-law preceded her in death. Memorial contributions can be made to Wilson Hospice, 1083 Fairington Drive, Sidney, Oh 45365, Greenview UCC, 3041 Leatherwood Creek Road, Sidney, Ohio 45365, Fairlawn Local School music program payable to Deb Marchal, 211 Oakwood Street, Russia, OH 45363, or Shelby County Animal Rescue Foundation, 1100 Clem Road, Sidney, Ohio 45365. The Atkins-Shively Funeral Home, St. Paris, is handling arrangements. Condolences to the family may be sent to www.shivelyfuneralhomes.com.